At the fully renovated restaurant of the Golden Beach Hotel in Tolo, our guests may enjoy a wide range of dining options. The Golden Beach Coffee-Restaurant is right across the beach of Tolo and has a magnificent view over the sea. It offers dishes made with pure and carefully selected ingredients. Enjoy the view of the beach of Tolo over a drink early in the evening and later enjoy your dinner gazing at the magnificent Koronisi as it is lit up in the cove of the bay. There’s an excellent choice of wines, as well as a wide variety of foods, coffees and snacks which you may taste all day long at the hotel’s terrace in a soothing environment with the accompaniment of quality music. 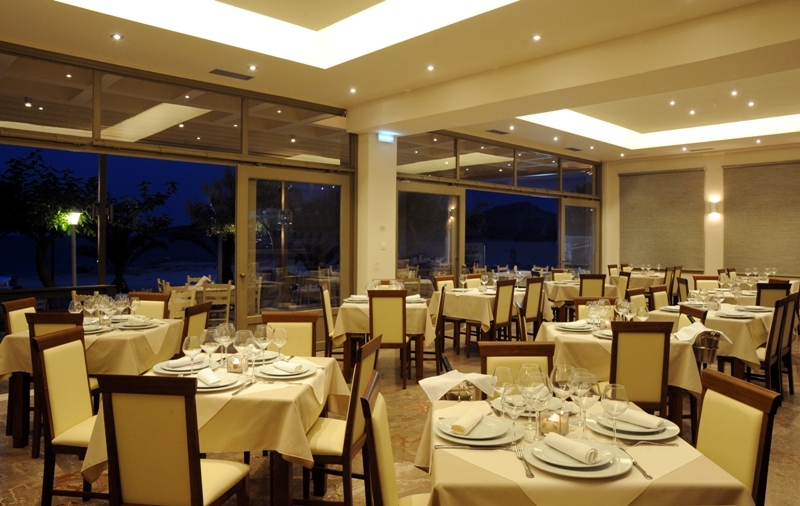 The good food, friendly service and exquisite atmosphere make GoldenBeach an excellent choice. It’s no coincidence that our customers classify us as one of the best restaurants in Tolo of the Argolida prefecture.